He's back. A hero for our millennium. And not a moment too soon, because during the five years (much longer in movie-fan years!) Superman sought his home planet, things changed on his adopted planet. Nations moved on without him. Lois Lane now has a son, a fiance and a Pulitzer for "Why the World Doesn't Need Superman." And Lex Luthor has a plan that will destroy millions - no, billions - of lives. Filmmaker Bryan Singer gives the world the Superman it needs, honoring the legend everyone loves while taking it in a powerful new direction. Brandon Routh proves a perfect choice to wear the hero's cape, leading a top cast that includes Kate Bosworth as Lois and Kevin Spacey as Lex. And the thrills - from a sky-grapple with a tumbling jumbo jet to a continent-convulsing showdown - redefine Wow. "I'm always around," Superman tells Lois. You'll be glad he is. $52.535 million on 4065 screens. Back in the mid-2000s, two of the biggest comic book characters returned to the movie screen. After an eight-year absence, the Dark Knight resurfaced in 2005’s Batman Begins, while the Man of Steel popped back after a much longer gap of 19 years for 2006’s Superman Returns. Both approached their characters in different ways, however. Begins went back to the source and retold Batman’s origins. Essentially it acted as if the films made from 1989 to 1997 never happened – or at least hadn’t happened yet. On the other hand, Returns made a strong connection to its predecessors - some of them, that is. The flick chose to pretend that 1983’s Superman III and 1987’s Superman IV: The Quest for Peace never happened. Instead, it took place in a world set some time after the end of 1981’s Superman II. In this universe, Superman (Brandon Routh) goes missing for about five years after astronomers discover the remains of his home planet Krypton. This left the world a little sour on him, as epitomized by a bitter Lois Lane’s award-winning Daily Planet editorial “Why the World Doesn’t Need Superman”. She moved on with her life sans her lover, as she snagged a steady boyfriend in assistant editor Richard White (James Marsden) – nephew of Planet Editor-in-chief Perry (Frank Langella) - and now has a five-year-old son Jason (Tristan Lake Leabu). Into this setting Supes and alter ego Clark Kent finally reappear. In the meantime, arch-villain Lex Luthor (Kevin Spacey) hatches his most nefarious plan. He hikes north to Superman’s Fortress of Solitude and steals some crystals that came with little Kal-El from Krypton. They possess immense power that Luthor plans to use to wreak devastation on most of North America, create his own continent – and eliminate Superman as well. We see a glimmer of this power when Luthor unleashes a miniscule shard. It sends out an electromagnetic pulse that briefly mucks with all the electronics around and above Metropolis. This event brings Supes back to action and sets all at the Planet back on alert. Given her history with the Man of Steel, Lois gets the assignment to follow up on him, but she prefers to follow the EMP story. Returns follows these two sides of things. We watch the affect Superman’s return has on Lois and the others, and we also check out issues related to little Jason. The movie provides additional focus on Luthor’s plot and Superman’s inevitable entanglement in it. I admit that expected great things from Returns when I saw it theatrically. As a lifelong superhero fan, I love this stuff, and the movie’s pedigree made it even more tantalizing. Director Bryan Singer did nice things with the first two X-Men flicks, and it looked like he’d work his magic with the launch of a new Superman franchise. Unfortunately, Returns only intermittently succeeds. I wasn’t surprised that I felt disappointed after my first screening of the flick on the big screen; since I had such high expectations for it, some let-down was likely. However, the movie didn’t improve for me the second or third time around, as it remains decent but doesn’t live up to my hopes for it. Frankly, it’s hard for me to come up with many specific areas that I feel excel. The movie entertains well enough but it lacks stellar elements that stand out to me. I do like the visual effects, as they create a much more involving world for Supes when compared to the earlier films. A scene in which Superman stands up to a gunman works great, especially when we see a bullet bounce off our hero’s eye. The flick integrates the effects well and doesn’t use them in a gratuitous manner. Otherwise, most of my thoughts relate to the film’s problems. I still can’t quite decide if the choice to set posit Returns as a continuation of the universe from Superman and Superman II is cool or a mistake. On one hand, it does create a daring decision that allows for an intriguing expansion of the earlier flicks. It doesn’t bother me that this choice discounts the existence of the third and fourth movies – this isn’t some cynical Dallas “it was just a dream” manipulation – and I like the fact the filmmakers didn’t follow the usual “reimagining” path. On the other hand, two problems related to this decision occur. For one, the folks behind Returns tend to be a little too respectful of the source material. Those flicks were good but they don’t need to be treated as holy canon. Singer seems to view these films as the be-all and end-all of what big screen Superman should be, a feeling that somewhat stifles creativity. Returns tries so hard to recreate the Superman of the Christopher Reeve days that it often feels more like recreation than a new exploration. Routh proves competent but uninspired as both Clark and Supes. He looks the part and truly channels Reeve, but he doesn’t bring his own stamp to the role. He lacks much charisma and fades into the background much of the time. I don’t think Routh genuinely harms the film, but I don’t think he adds anything to it either. The other problem with the flick’s debt to the old movies connects to its story. I won’t call Returns a remake of the original, but it certainly borrows liberally from the plot of the 1978 flick. In that one, Lex Luthor executed a diabolical plan to eliminate much of California so he would own valuable real estate. Luthor in Returns takes this theme to a much more destructive level but remains similar in design: he still plans to kill lots of folk and destroy lots of property for his own gain. Even Luthor’s female sidekick Kitty (Parker Posey) feels like little more than an alternate version of Miss Teschmacher. Comparisons between Returns and its predecessors were inevitable, but with all the similarities, they become even more dominant. Unfortunately, Returns doesn’t match up with the earlier flicks. The 1978 movie boasted a sense of grandeur and legend that Returns can’t reach, and the 2006 film also lacks the comic book fun of Superman II. Returns aspires to be the best of both worlds but just fails to ever become terribly engaging. Probably my biggest gripe stems from the bizarre choice to cast Kate Bosworth as Lois Lane. Who in the world thought she seemed even remotely appropriate for this part? First of all, she's radically too young. In the original, Lois was in her late twenties or early thirties, and we’re now supposed to be five years later. At the bare minimum, Lois should now be at least 33, while Bosworth was 23 and looked 17! Her casting creates a major problem with the film, especially during its first half. If Bosworth actually seemed right for the part, I might not mind her absurd youth so much, but instead, she just comes across as snippy and petulant. Not for a second do I buy Bosworth as the intrepid reporter. She’s better suited to be prom queen, not a tough city gal. Ironically, a much better solution appears in the film. I think Parker Posey could have been darned near ideal as Lois. She has exactly the right mixture of qualities to fill Margot Kidder’s shoes, and she certainly has more than enough talent to fill the role. That’s just one in a long series of misjudgments that mar Superman Returns. The film strikes me as one long missed opportunity. It had the chance to be a big, bold invigoration of the Superman legend, but a combination of bad choices leaves it as a mediocre disappointment. Superman Returns appears in an aspect ratio of approximately 2.35:1 on this Blu-ray Disc. Overall, this was a satisfying transfer. Almost no problems with sharpness emerged. From start to finish, we got a crisp, well-delineated image that suffered from only a few tiny signs of softness, and those were restricted to wider shots. Jagged edges and moiré effects were absent, and source flaws created no concerns either. This was a clean, fresh transfer. Edge haloes didn’t appear. Although Returns gave us a less candy-colored palette than I expected, the hues worked well within the visual design. Colors were appropriately bright despite a somewhat golden tone lent to much of the movie. I liked the hues and thought they were effective. Blacks were a modest weak link, as they occasionally looked a bit mushy, and shadows could appear a little on the dense side. Those were the only concerns I had, though, as the majority of the flick looked very good. Superman Returns deserved a super soundtrack, and that’s what the DTS-HD MA 5.1 mix offered. From start to finish, it provided a lively setting. Unsurprisingly, the mix of action scenes worked best. They used all five speakers well to involve us in the developments, and the elements moved nicely across the spectrum. Quieter scenes offered good ambience, and the surrounds kicked in with much unique material, especially during the more active sequences. This was a consistently impressive soundscape. Audio quality also excelled. Music was bright and dynamic, while effects followed suit. Those elements sounded clear and accurate. They also boasted solid low-end, with deep bass across the board. Speech seemed natural and concise, and I noticed no edginess or other issues. I thought the soundtrack was pretty terrific. 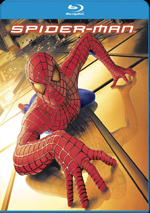 How did the picture and audio of this Blu-ray compare to the 2006 DVD? Both showed improvements. The audio demonstrated a bit more kick, and visuals looked tighter and clearer. This was a nice upgrade. All of the DVD’s extras repeat here as well as some additional components. We open with Requiem for Krypton: Making Superman Returns. This five-part documentary runs a total of two hours, 53 minutes and 41 seconds. Woof – now that’s a serious “Making of” show! “Requiem” offers the standard array of movie clips, behind the scenes elements, and interviews. We hear from director Bryan Singer, producers Gilbert Adler and Jon Peters, writers Dan Harris and Mike Dougherty, production designer Guy Hendrix Dyas, storyboard artists Ed Natividad and Gabriel Hardman, production illustrators Jim Oxford and Jeff Julian, casting director Roger Mussenden, costume designer Louise Mingenbach, director of photography Newton Thomas Sigel, lead hand Sven Johnsen, key makeup/hair Nikki Gooley, hair stylist Shane Thomas, makeup artists Georgia Lockhard-Adams and Tami Lane, stunts/movement coach Terry Notary, scenic artist Ruben Hill, head scenic artist Michael O’Kane, painter Steven Sallybanks, trainer Michael Ryan, animal trainers Angela Towle and Jeff Griffiths, executive producer Chris Lee, stunt rigger Dave Schultz, first AD Jeffrey Wetzel, visual effects supervisor Mark Stetson, stunt coordinator RA Rondell, hairdresser Wendy Da Waal, on set special effects tech Catherine Hart, on set special effects supervisor Rob Heggie, stunt double Mike Massa, pyro boss Chris Murray and actors Brandon Routh, Kate Bosworth, James Marsden, Stephan Bender, Sam Huntington, Kevin Spacey and Parker Posey. The program opens on July 6, 2004, as Singer works on his story pitch. We follow script development, sets, production design, and visual planning, casting, and shifting to Australia to shoot. From there we learn about costume design, cinematographic decisions, construction, hair and makeup, creating Superman’s flying images, and Routh’s physical training. The show also looks at the specifics of shooting many different scenes, areas that encompass many different issues like stunts, sets, various forms of effects, animal wrangling, and extras. One section looks at the Lex Luthor aspects of the production, and we finish with the end of the shoot. “Requiem” works best as an extended production diary. It includes none of the usual talking head interviews, as all the comments come from various sets and other production milieus. They still offer good insight into the various elements, but footage from these settings leads the program and makes it valuable. This has positives and negatives. On the bad side, it means that we don’t get a tremendous amount of retrospection and insight into the production’s overall arc. We follow it as it happens, so there’s an immediacy to it but not the kind of general summary coherence often found in this sort of show. We also get no information whatsoever about post-production. Still, it’s hard to knock a program with so much great footage. We really get a great look at the production as we watch the film’s shoot. We also find nice elements like screen tests and similar pieces. While not flawless, “Requiem” offers a consistently interesting and fulfilling documentary. Next comes a featurette entitled Resurrecting Jor-El. This four-minute program looks at the techniques used to integrate old footage of Marlon Brando into the film. It shows us examples of the methods as we get a quick overview. Apparently created to help with advance buzz for the movie, it’s an interesting piece. 13 Deleted Scenes fill a total of 21 minutes and 27seconds. Many of these show Clark Kent back in Smallville with his mom before he decides to return to active duty. These prove reasonably interesting. We see Clark’s discovery of Lois’s anti-Superman editorial, and we also get good information about why he went back to Metropolis as well as how Clark fooled people during his long absence. There’s also a nice glimpse of his mom’s social life absent from the final cut. I’m glad most of them were cut since the Smallville stuff already runs too long, but I wish we’d still gotten the quick tidbits about how Martha Kent covered for Clark; they help cover some of the film’s less plausible moments. We also find a funny bit with Lex and Kitty as well as more of Luthor’s trek to the Fortress of Solitude. The remaining snippets offer very minor elements, most of which concentrate on the Daily Planet crew. These prove forgettable. The Smallville elements are the best on display here, while the rest fails to make much of an impact. Note that the Blu-ray includes two deleted scenes not found on the 2006 DVD. I no longer own that disc, so I can only identify one of them with certainty: “Return to Krypton”. In this five-minute, 41-second clip, we see Superman’s journey to find his old home planet. The final film alludes to this process but doesn’t show it. That makes “Return” sound intriguing, but in reality, it’s kind of dull. Supes flies around space, encounters a bit of peril and heads back to Earth. The movie doesn’t suffer at all due to the absence of this footage. Though I’m not positive, I’m pretty sure “How Wrong Can You Be?” is the other cut segment not found on the 2006 DVD. This isn’t really a deleted scene; though; instead, it delivers one minute, 12 seconds of outtakes from Kevin Spacey. It’s entertaining but not vital. In addition to two trailers, the set finishes with Bryan Singer’s Video Journals. Some of these appeared on a documentary DVD called Look, Up in the Sky - that program will show up elsewhere in the “Superman Anthology” - but it didn’t include nearly as many. We get 29 of these with a total running time of one hour, 22 minutes. In the “Journals”, Singer gives us his form of “video blog” from the production of Returns. We see Singer on various locations and also check out stunts, visual effects, cinematography, storyboards, script/story issues, presenting at Comic-Con, costumes, and a few other topics. In addition to Singer, we hear from stunt coordinators Glenn Suter and RA Rondell, actor’s mother Christine Bender, producer Gil Adler, screenwriters Michael Dougherty and Dan Harris, production designer Guy Dyas, director of photography Newton Thomas Sigel, SFX supervisor Neil Corbould, 1st AD JP Wetzel, workshop manager Ray Ferguson, storyboard artists Chew Chan and Phillip Holiday, assistant SFX supervisor David Brighton, construction lead hand Ron Martin, steel foreman Mark Gatt, VFX producer Joyce Cox, lead previs artists Rpin Suwannath and Kyle Robinson, VFX supervising coordinator Maricel Pagulayan, editors John Ottman and Elliot Graham, costume designer Louise Mingenbach, and actors Kal Penn and Sam Huntington. Most of these are nuts and bolts shots from the production, but some go for a comedic bent. We see Singer fill in for an exhausted Peter Jackson on the set of King Kong, while the studio wants Frank Darabont to take over for Singer on Returns; both are so dry that some fans took them seriously. Overall, the “Journals” are pretty good but not great. We already get so much behind the scenes material elsewhere that they’re not as valuable and interesting as they otherwise might be. Nonetheless, they add some value and have more than a few good moments. To say that I wanted badly to love Superman Returns would be an understatement. It was top on my list of “must see” flicks for 2006 and I really hoped that Bryan Singer would be able to bring new life to the old franchise. Unfortunately, he made a flick that seems less like an invigoration of the series and more like a remake of prior glories. 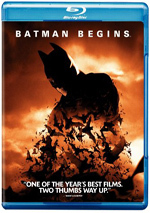 The Blu-ray offers strong picture and audio along with extras highlighted by a lengthy and often involving documentary. I feel pleased with this Blu-ray, and it presents the strongest home video representation of the film, but I must admit Superman Returns remains a disappointment to me. 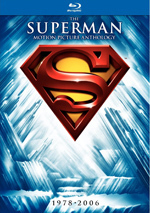 Note that as of April 2012, you can only purchase this Blu-ray edition of Superman Returns as part of an eight-disc “The Superman Motion Picture Anthology”. This includes Superman, its three 1980s sequels, 2006’s Superman Returns and Superman II: The Richard Donner Cut, and a disc of bonus materials. I’m sure the films will be available individually at some point, but that date is currently unknown.